Marcus Mumford, singer for Mumford and Sons, is speaking out about being caught yawning on camera while attending Prince Harry and Meghan Markle‘s royal wedding in May of 2018. The magazine also managed to ask, “How are you friends with Prince Harry and Meghan Markle, anyway? 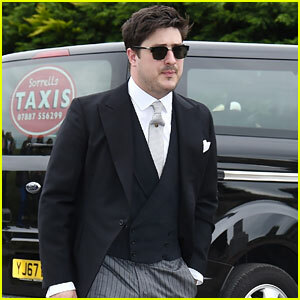 Marcus Mumford suits up while arriving for the wedding of Kit Harington and Rose Leslie on Saturday afternoon (June 23) at Rayne Church in Aberdeenshire, Scotland. The 31-year-old frontman of the band Mumford & Sons was seen the day before arriving at Aberdeen Airport and walking with the help of crutches and a boot on his foot. 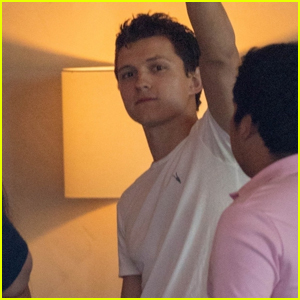 It looks like he’s feeling better now though! This is the second major wedding that Marcus has attended in the past month. 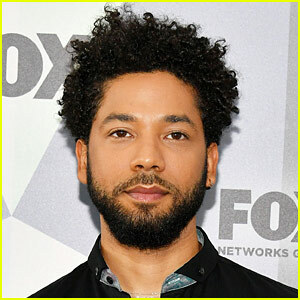 He was also spotted at the royal wedding with his wife Carey Mulligan back in May. Marcus Mumford walks with the help of crutches while arriving into Aberdeen Airport on Friday (June 22) in Scotland. The 31-year-old Mumford & Sons frontman is in town to attend his friend Kit Harington‘s wedding this weekend. Stay tuned for photos from Kit and Rose Leslie‘s wedding as we have plenty to share! Carey Mulligan and Marcus Mumford are all smiles as they arrive at the Royal Wedding at St. George’s Chapel at Windsor Castle on Saturday morning (May 19) in Windsor, England. The 32-year-old Collateral actress looked pretty in a yellow floral dress while the 31-year-old Mumford & Sons singer wen handsome in a black tux and sunglasses for the ceremony. You can see all the other A-list celebs that attended Prince Harry and Meghan Markle‘s wedding here! FYI: Carey is wearing an Erdem dress. Adele is spotted making her way out of St Paul’s Cathedral after attending the Grenfell Tower National Memorial Service held on Thursday morning (December 14) in London, England. The 29-year-old Oscar-winning singer was reportedly fighting back tears throughout the service, where she was joined by her good friend Carey Mulligan and her husband Marcus Mumford in the 1,500-strong congregation to remember all those who lost their lives in the tragedy. Also among the mourners were the Duke and Duchess of Cambridge, Prince Harry, Prince Charles and the Duchess of Cornwall. Following the tragic blaze in June, Adele made an appearance at Grenfell less than 24 hours after the fire swept through the tower block in just 15 minutes when a faulty fridge exploded, where nobody on its top three floors survived.